Once, before Steve and I were married he made this for me and some friends for dinner and it has become a winter staple in our family. To this day the recipe we use is from Steve’s Year 9 Food Technology project book, complete with hand-drawn pictures for presentation and all the processes highlighted in different colours. Originally a Woman’s Weekly recipe, it’s one of those recipes that would be considered very 80’s these days, but I kid you not- everyone always comes back for more. It uses chicken drumsticks which are so very affordable and all the other ingredients are standard pantry items. These quantities makes enough for 4 people, but I always double or triple it depending on numbers. To increase the nutritional value, I will often add some long green beans into the pot to simmer just at the end. This recipe can easily be cooked in a slow cooker. Just follow the steps exactly and replace the oven for the slow cooker. The slow cooker tends to give you a tender ‘shank’ type finish while the oven will keep the structure of each drumstick. With the measures provided this dish will set you back no more than $5. You can serve it on rice but our family likes it best on mash potato. 1. Heat oil and half the butter in frying pan, add drumsticks and brown. 3. Add the undrained crushed tomatoes, soup mix, soy sauce and water. Heat through. 4. Place chicken in oven-proof dish, pour the sauce over, cover and bake in a moderate oven for 34 mins. 5. 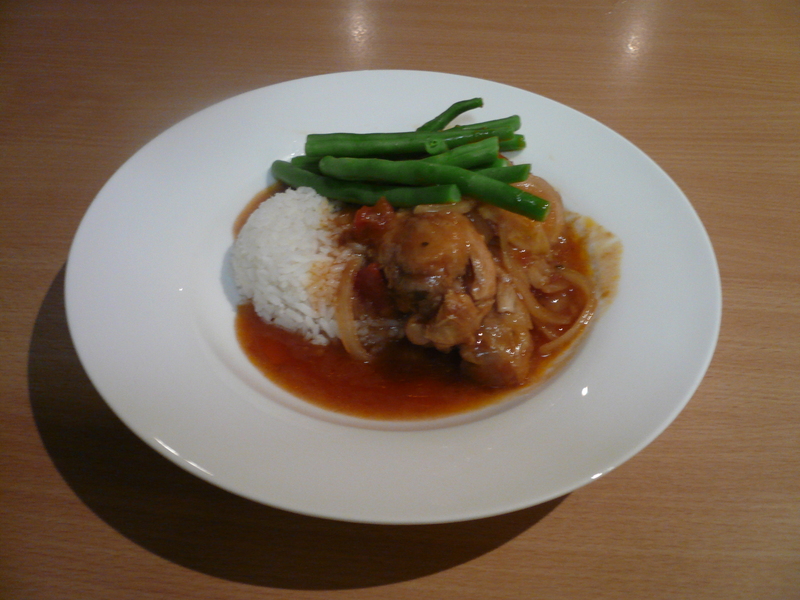 Remove chicken, pour sauce into pan, stir in blended cornflour and extra water, stir until sauce boils and thickens. Pour over chicken.